The ABA Standing Committee on Pro Bono has declared Oct. 21-27 Celebrate Pro Bono Week! It is a time that across the nation, Bar Associations, law firms and law schools will be focussing on what we do best- pro bono work! What are we doing that is special at USC Law? 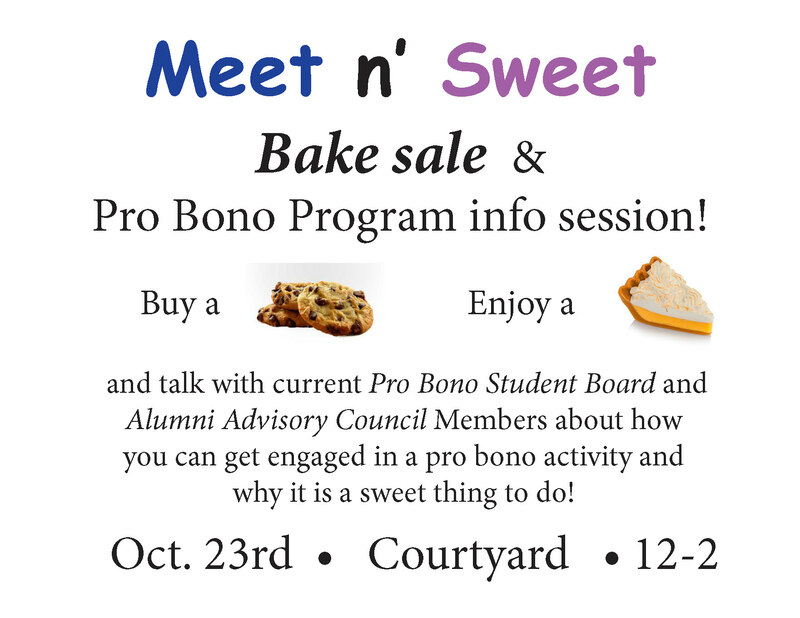 A BAKE SALE and conversation! 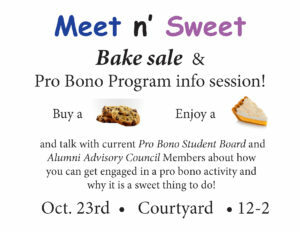 join us for the Meet n’ Sweet!